A runner who got lost and fell down a mine shaft during a Sunday night run in the Spur Cross Conservation Area near Cave Creek was rescued Monday. There are more than 100,000 abandoned mines in Arizona, according to the Arizona Mining Inspector’s office. When the Democrats won control of the House, they vowed to use their new majority powers to hold Trump accountable. This week, House Committees are preparing to authorize subpoenas that would seek access to the Mueller report, as well as information about the handling of classified information. Sometimes you need a sheriff in town, our medical commentator Dr. Joseph Sirven explains. Some Phoenix city employees could soon get bigger paychecks. The city is considering a minimum hiring wage for its full-time workers. The council is expected to vote on the proposal Wednesday. If approved, it would establish a minimum hiring rate of $15 per hour for all full-time city employees. The Census is a year away, and various governments around the Phoenix area are kicking off a campaign to make sure people get counted. 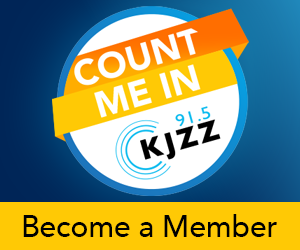 They argue if there is an accurate count, communities in Arizona will get their fair share of federal dollars and Congressional representation. President Donald Trump threatened to close the border this week over immigration, but Arizona Sen. Martha McSally said Monday morning trade and travel should continue.